My favorite warm weather drink is an Arnold Palmer, or Half and Half as some call it, and I think this weekend hitting 70 degrees calls for the first batch of the season. 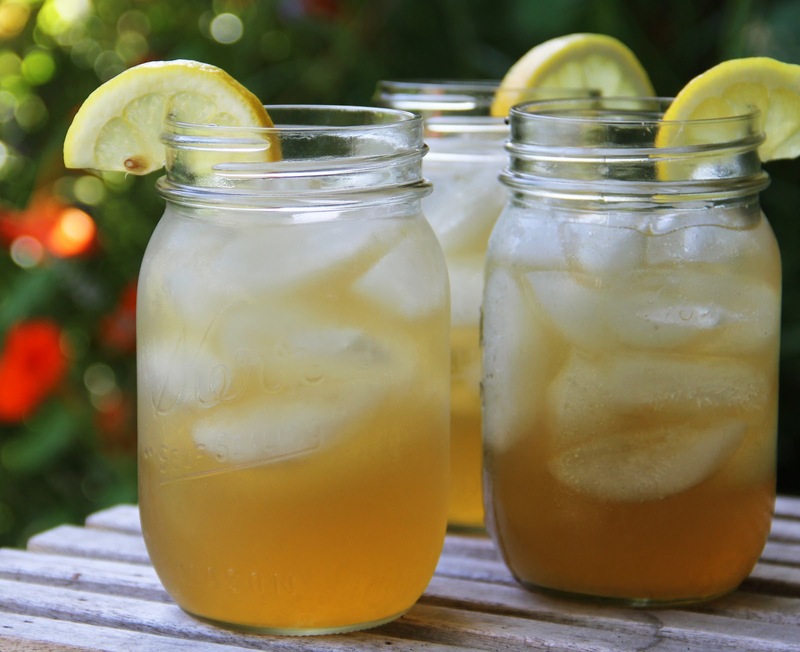 The drink is simply a mixture of iced tea and lemonade and you can alter the sweetness to your liking. To a blender, add the Simple Syrup, lemon juice, lemon zest and ice cubes and pulse to puree. Place the mixture into the freezer until the tea has finished steeping. Add ice cubes to a large glass and top with the tea. Using an ice cream scoop, scoop the "lemonade" into the glass.